The Future Of Attorney Marketing Is Finally Here! Learn specific tips to automate manual processes and find the most profitable ideas. See how other successful law firms are scaling their business by utilizing marketing automation. Learn the exact methods to attract, sell, wow, and retain more clients. *We respect your privacy and will never share or rent your contact information. Free means free - no credit card required. Clockwork - All On Auto-Pilot! SCALE & MANAGE YOUR LAW FIRM IN 2018 WITH THE #1 MARKETING AUTOMATION SOLUTION FOR ATTORNEYS. Legal marketing is more competitive and aggressive now more than ever. Learn how to level the playing field and start competing with the big law firms on a smaller budget. "Older lawyers and more traditional law firms are adapting to the online world. There is now an understanding of how important these tools are for their practice." Attorneys are overwhelmed. They need a system, process, and a platform that can allow them to focus on their clients needs while their staff follows a proven, repeatable method for attracting, selling and wowing their clients. Learn the proven formulas, tools, and strategies that we've deployed for other successful law firms. 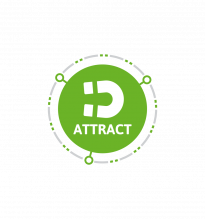 We'll show you how to attract the clients you want, not the ones you don't. Creating a sales and marketing automation strategy for your law firm can be daunting. We take the hassle and guesswork out of scaling your business to help you attract more clients and increase revenues. 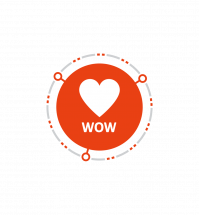 The first step in wowing your customers involves delivering more than what you promised. This may seem simple, but in the hustle and bustle of daily work, it’s often overlooked. Many attorneys make the mistake of going right for the sale rather than providing their prospects with a clear understanding of how they work with their clients. 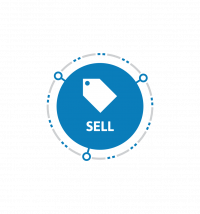 Closing the sale involves more than just an exchange of words, money or a signed document. Your prospects will only pay attention when they are motivated to do so. And the best way to gain their attention is through interaction and education. Think about the last time you were completely impressed by a company. You probably did business with them more than once, and maybe even told a few of your friends about it. Wowing your clients involves more than just delivering on a promise, it's about going the extra mile to create a memorable, delightful experience that will create clients for life. Attracting the right clients to your law firm can be the difference between cutting paychecks and scaling your law firm or shutting down and closing the doors. The first step in attracting your ideal clients is defining who your clients are so that we can attract their interest and collect their contact information. 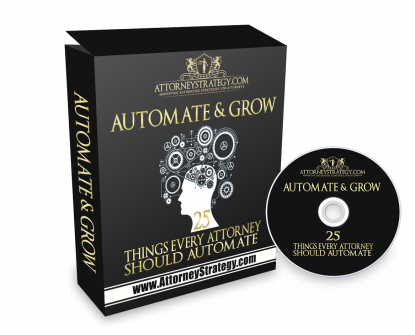 LEARN THE MARKETING AUTOMATION STRATEGIES OTHER TOP RATED ATTORNEYS DON'T WANT YOU TO KNOW ABOUT! Create A Professional, High-Converting, Marketing Automation Strategy For Your Law Firm WITHOUT Spending A Fortune. We Build The Ultimate Marketing, Sales, Billing & Workflow Automation Solutions For Your Law Firm.